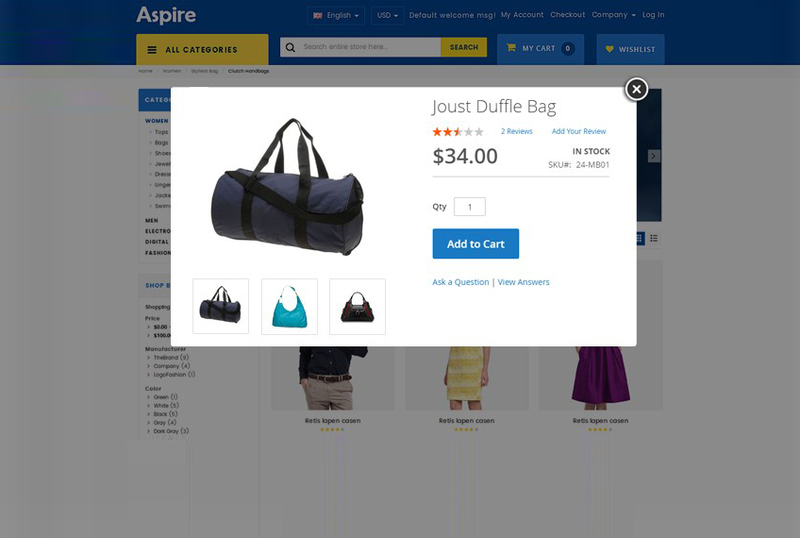 Magento2 Quick View is a complete AJAX based product quick preview extension that is designed to be a dead-easy solution to optimize your customer's shopping experience by showing all the necessary product information in a popup box - so as a Magento2 customer you don't have to load product pages to see details while making a purchase decision. You can define whick blocks or links to be shown on the Quickview popup & customize it as needed from backend. 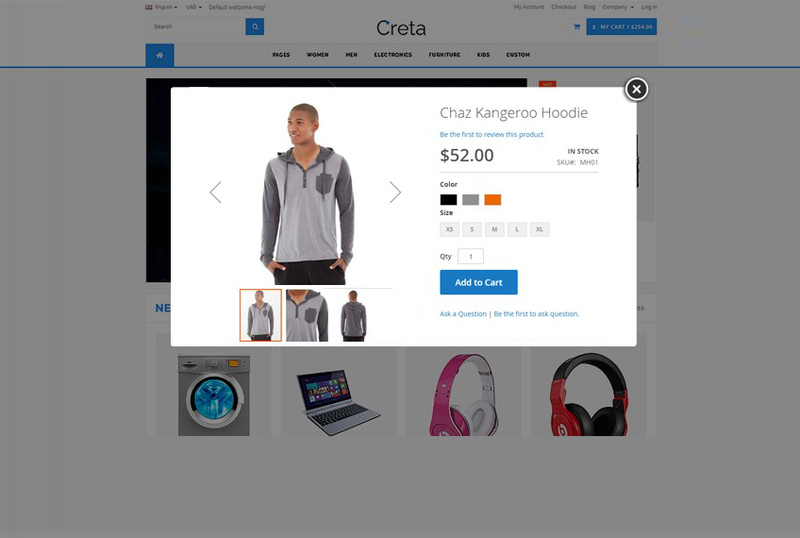 With this Quick View Magento extension customers can instantly get all necessary product information right from a category page without going to product pages. Everything they need to know is placed in a fancy pop up. 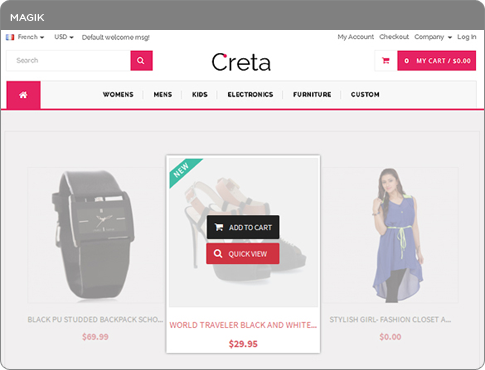 Grab your visitors attention - Magik Quick View is a powerful and feature rich Magento extension that quickly show product details on product listing page without actually redirecting customers to product detail page. 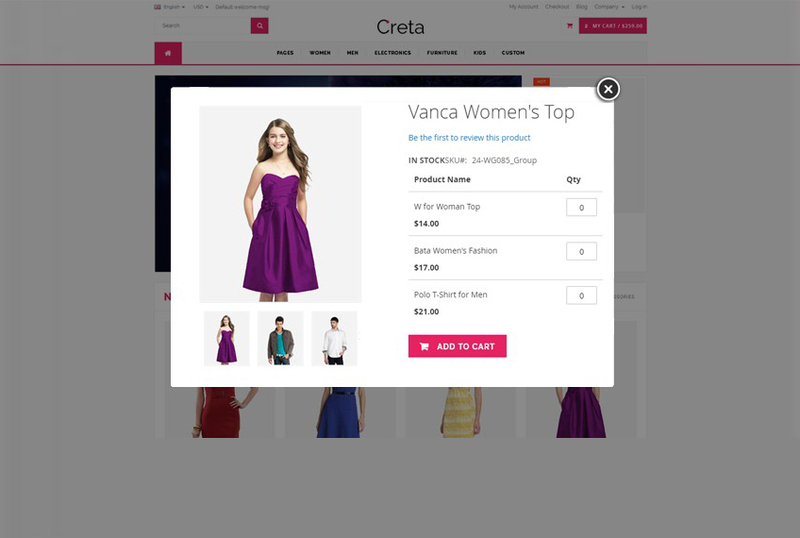 Infomation Tabs - Customers can see product information in tabs.Lightbox includes with product image, all type of product options, add to cart button, description, reviews and much more. 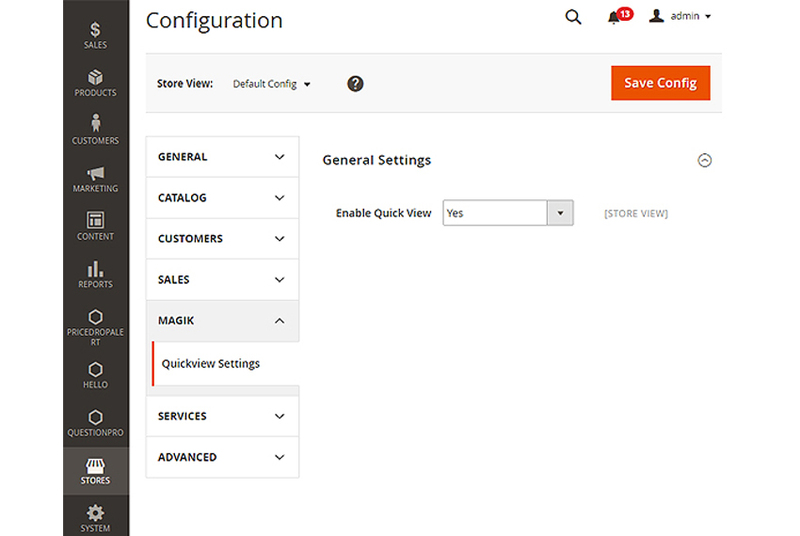 Customize Quick View - You can fully customize magik quick view including border color, loader image and more. How can I download the product which I have just bought? The download link will be automatically sent to your payment email address within 5 minutes after the payment is done. Please check the Order Confirmation Email, there will be a download link inside. Or you can log into your account under My Account > My Downloadable Products you will find the product/extension to download. Can I download updates of new versions? Yes, if we update the extension or template, we will also update the download package/ download link, so please use the download link in your confirmation email to get the latest version of the product. Each extension will have single domain license. If you want to use any of our extension on more than one domian then you need to purchase the license for every single domain. Yes, absolutely. You may install on an unlimited number of staging / development servers. What does upgrades mean? How long will I receive updates for the software? Upgrades refers to future versions of the software. For example, if you order an extension then you will have access to any new versions released for that extension. Support refers to the free support period where we will provide guidance regarding any queries you have or any tickets you raise. 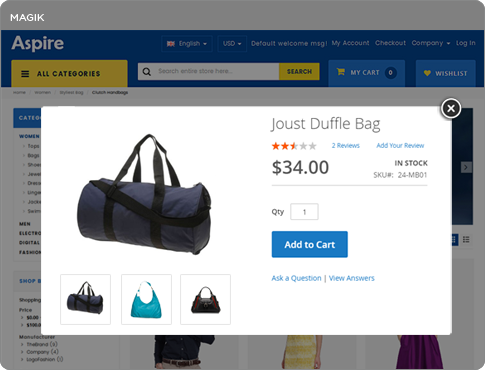 Is it Ajax Product Quick View for Magento 2? 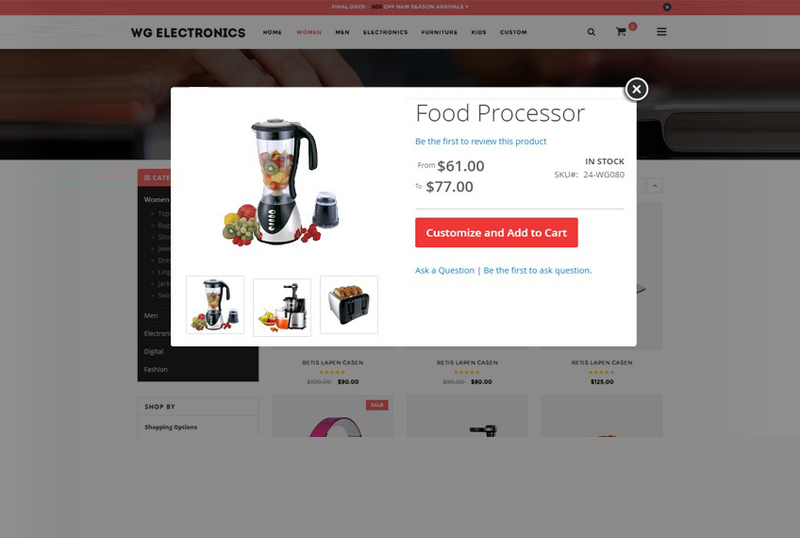 Yes, This extension is Ajax quick view product for Magento 2. 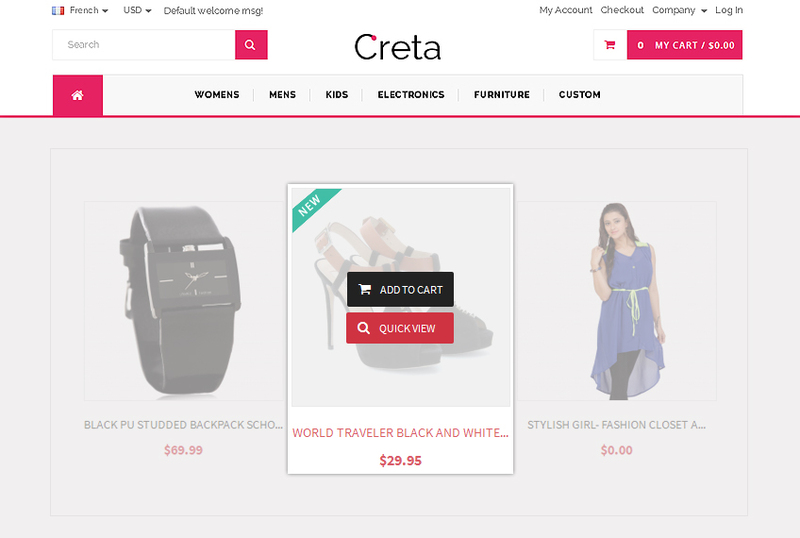 Can I enable Magento quick view for featured products on homepage? 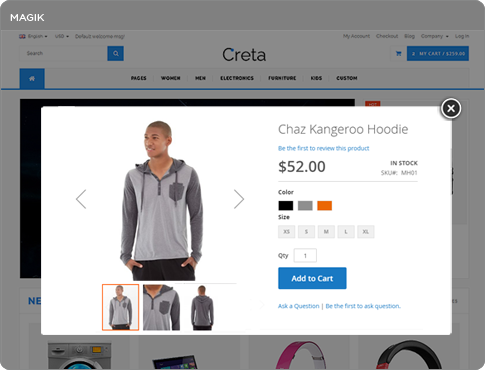 No, currently Quick View extension works only on product listing (category) pages.